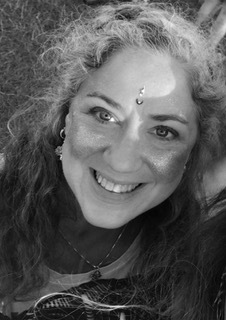 Lisa Kaley Isley is a clinical psychologist, yoga teacher, IAYT certified yoga therapist, and yoga educator residing in London, and she will be sharing her experience and wisdom with us in her unique workshop on Yoga Therapy for Anxiety and Depression. Lisa is a long-term yoga student of Yogarupa Rod Styker of Para Yoga, Pandit Rajmani Tigunait of the Himalayan Institute. She studied Yoga Therapy with Gary Kraftsow of American Viniyoga. These traditions all influence her personal practice, teaching, and therapy. Lisa is initiated into the Sri Vidya tradition and is empowered to impart personalized practices to individuals who want to use yoga to promote their own growth, healing, and personal transformation. to offer safe, responsive, and empowering practices for themselves, their students, and clients. Lisa’s workshops provide an opportunity for personal experience and reflection, as well as learning how to better assist others on their journey. This course is part of the Yoga Therapy Diploma 500 and 800 hours. Other applicants who wish to join need to have a minimum of 200-hour yoga teaching qualification and yoga teaching experience. This is a highly recommended course for those who wish to experience the Yoga Therapy approach to the treatment and management of Anxiety and Depression, guided by one of the most qualified, experienced and compassionate yoga therapists in Europe.